PhaseBio is a clinical-stage biopharmaceutical company committed to developing improved biotherapeutics for the treatment of orphan diseases, with an initial focus on cardiopulmonary indications. Their pipeline includes therapies that leverage our proprietary elastin-like polypeptide (ELP) technology to enable less-frequent dosing and better patient compliance, as well as a reversal agent for the antiplatelet therapy ticagrelor. Orphan drug development presents unique challenges for any life sciences company. Defined as a rare disease or condition affecting less than 200,000 persons in the United States, this presents an immediate enrollment challenge due to the limited number of affected patients, compounded with at times incomplete understanding of the disease and very limited prior data available to design effective trials. Despite the smaller pools of affected patients, these drugs still require safety and efficacy regulatory approval. As an emerging and innovative biotech company, PhaseBio has evolved in recent years with advanced pipeline growth opportunities, developing therapies with a focus on orphan-cardiopulmonary diseases. With growing clinical programs, the need for a robust eClinical platform became a priority for them; promoting better data management, and greater efficiency through all phases of their clinical studies. PhaseBio identified the need for a robust data management platform solution and outsourcing relationships that could scale up to a large, global program. Along with a new, fully outsourced CRO relationship, Medidata Rave EDC will further enable PhaseBio to address current and future needs as they advance and improve their therapies — providing new and improved treatments for patients suffering from these rare indications. Debunking the misconception that Rave EDC is just for large pharma companies, PhaseBio found Medidata’s Rave EDC platform to be the single solution for their first Phase I study, yet flexible enough to scale alongside their program growth. Rave EDC’s flexible architecture will support the data management trial demands as PhaseBio advances from one site to multisite studies across the globe. Driving factors that attracted PhaseBio to Rave EDC include the unified platform, a user-friendly solution, and forward looking capabilities. 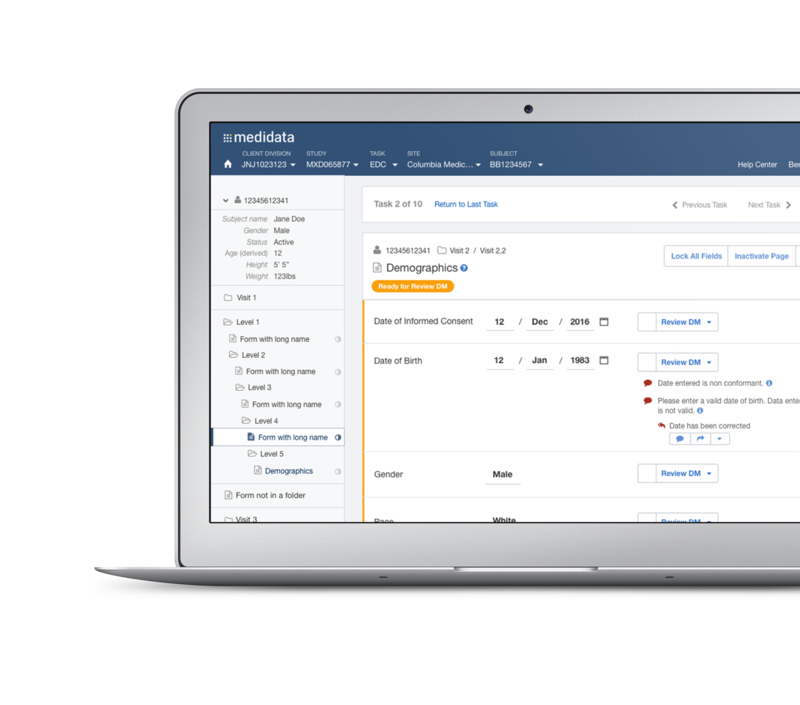 Having all clinical data on one platform reduces the stress of merging data sets that would otherwise require manual effort of the internal team. In addition, PhaseBio has the distinct honor of becoming Medidata’s 1,000th customer. Medidata is the first and only eClinical company to achieve this milestone. Rave is the world’s leading unified EDC/CDMS solution and the cornerstone of the Medidata Clinical Cloud.